The crazies at Denmark’s Mikkeller brewery are doing their best to redefine the concept of breakfast beer with their superb dark range and, courtesy of the boys at Beermen.tv, May’s Beer & Brewer Expo even witnessed a Beer Breakfast. Now, thanks to the guys at Beer DeLuxe and Mountain Goat, you can get your hands on beershakes. Inspired by a recent “30 breweries in 30 days” tour of the US, Barney “Beer Ambassador” Matthews decided to bring a little bit of Sierra Nevada back with him to Australia. The legendary West Coast brewery serves up malt milkshakes made with the first runnings from the mashtun. This wort – the sweet liquid extract from the grains used in the mashing stage of brewing before it goes onto be fermented and turned into beer – is mixed with milk and ice cream to make an old school shake. And now they’re on offer at Beer DeLuxe, in Melbourne’s Federation Square. 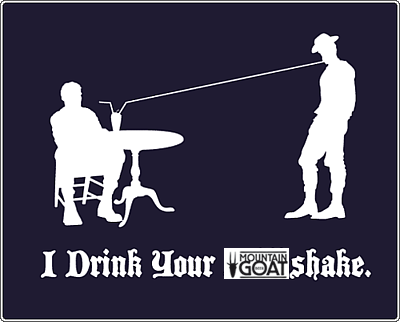 Mountain Goat brewery, in Richmond, supplies wort that would normally go on to become their Hightail Ale, the bar reduces it then turns it into a shake. Simple. Something to consider when trying to fill the hours in the day before beer o'clock.